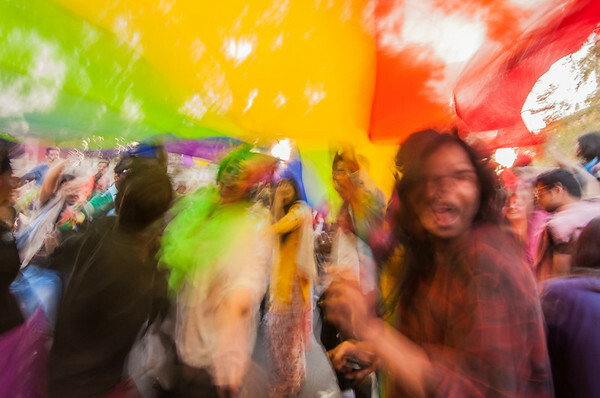 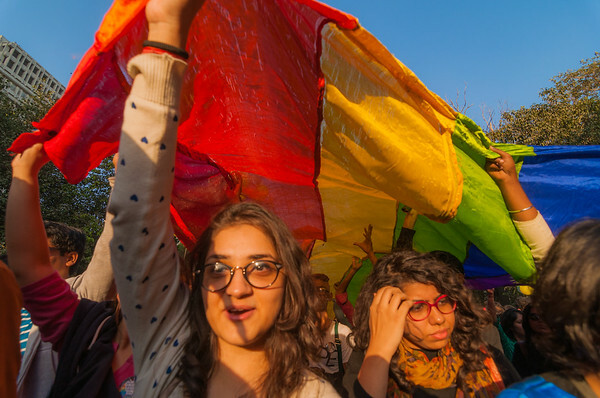 Delhi Queer Pride Parade, 2014. 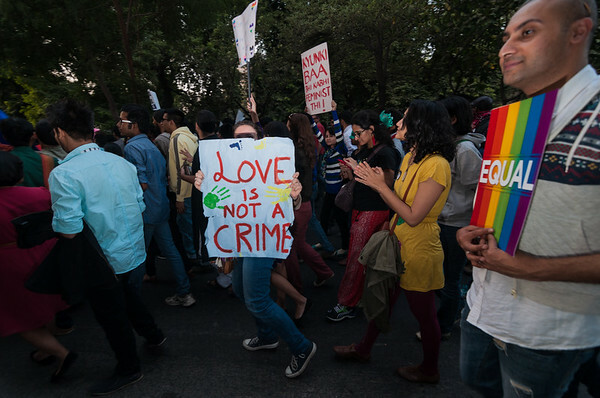 New Delhi, India. 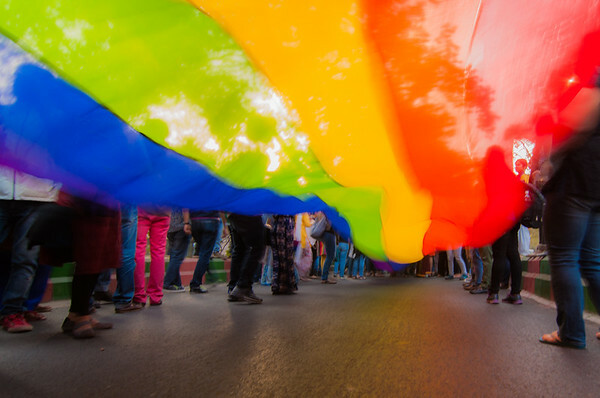 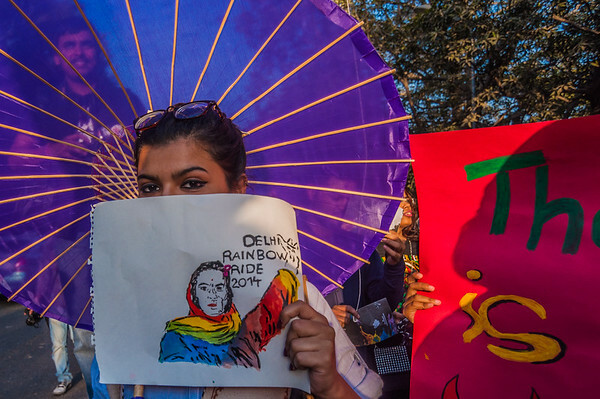 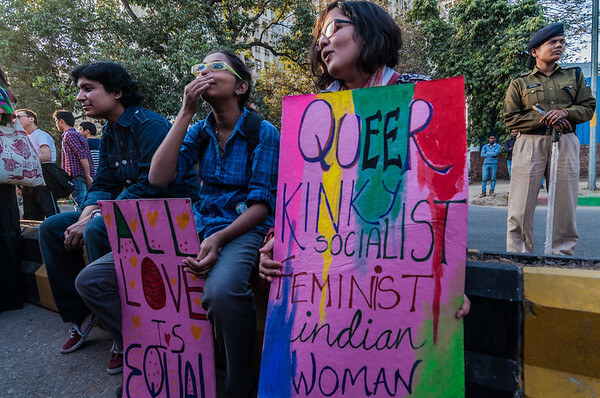 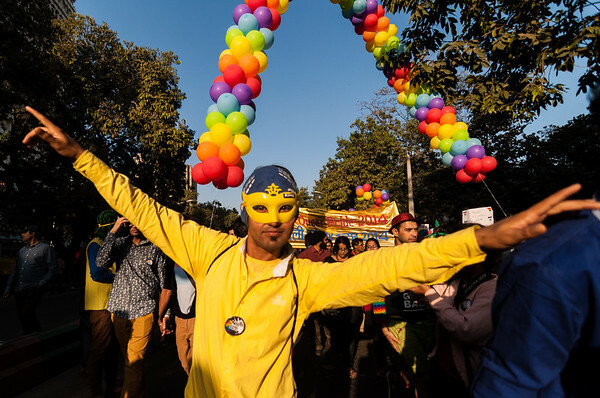 “The Delhi Queer Pride is a parade for diversity, acceptance, solidarity and resistance” states the leaflet distributed at Delhi Queer Pride 2014, held on 30 November. 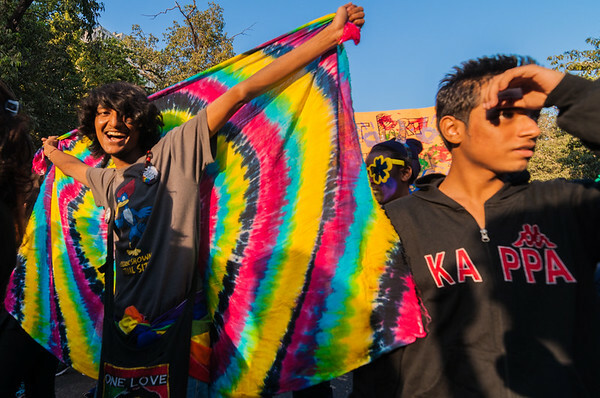 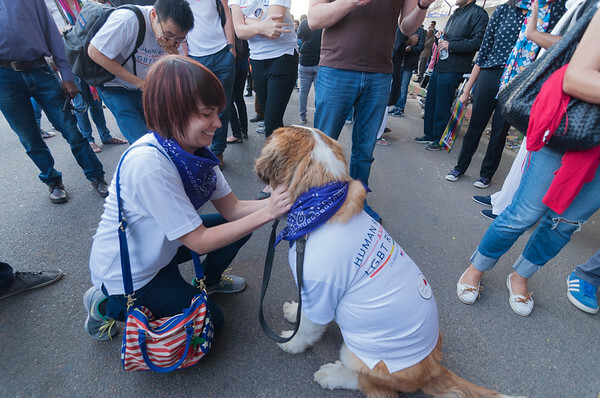 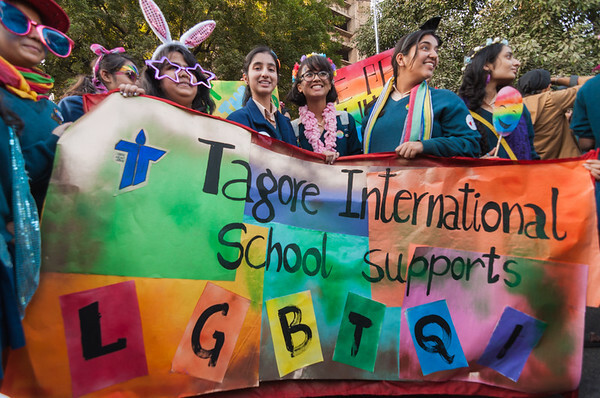 The 2014 parade was particularly significant as members and supporters of the queer community got together to protest the December 2013 judgement of the Supreme Court of India that reinstated section 377 of the Indian Penal Code and to acknowledge the Supreme Court’s decision in April 2014 to recognise the legal and constitutional rights of transgender persons.